Habitat: Anywhere with dense vegetation. Feeding: Small insects, spiders and seeds. laid from late April, incubation 14 days. 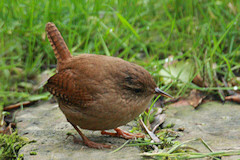 The Wren is a tiny bird, just slightly larger than the Goldcrest. 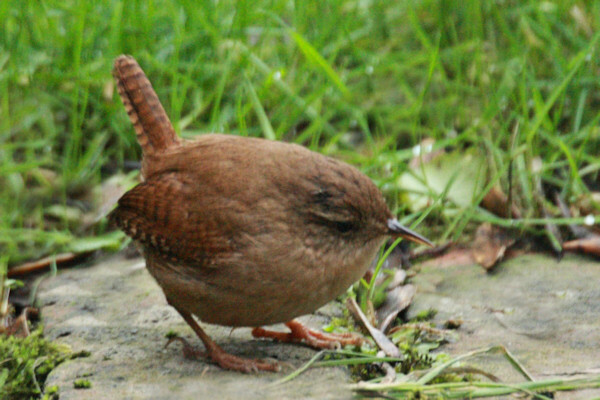 It is red/brown in colour with barring on its wings. 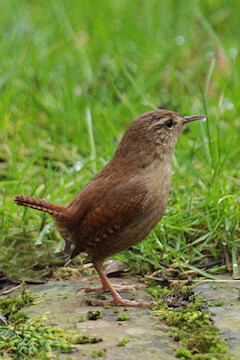 It has a light eye stripe but its most distinctive feature is its small tail which is often cocked up. The sexes are similar.